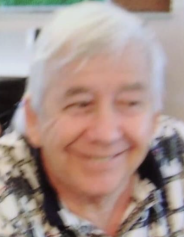 David E. Smith, 75, of St. Mary's, West Virginia, formerly of Zanesville, Ohio, passed away suddenly on March 16, 2019. He was born January 13, 1944 to the late George E. and Lura B. Smith in Zanesville, Ohio. He was a member of the Nazarene Church of St. Mary's, West Virginia. In addition to his parents, David is also preceded in death by, three brothers, Douglas B. Smith, Larry R. Smith, and Roger K. Smith; sister, Karen Lee Clapper; nephew, Michael Smith; nieces, Angela Smith and Shanda (Searl) Angelo; several aunts, uncles and cousins. David leaves to cherish his memory, his loving wife of 50 years Nancy (Woodford) Smith, whom he married on January 13, 1968; daughter, Shelly (Smith) Adkins, of St. Mary's, West Virginia; granddaughters, Brittnay and Kylee Buzzard; great-grandson, Khailyer, all of West Virginia; brothers, Jack (Irma) Smith, Michael (Myra) Smith, Robert (Terri) Smith; sisters, Linda (Tom) Wheeler, Margaret (Everett) Guthrie, Barbara (Robert) Norris; and several nieces and nephews who cherished Dave. Dave will be remembered for his joyful laugh, generous spirit, and heart of gold. Also for his love for animals, especially his pet parrot, George, Dave's companion of 37 years. David enjoyed antique cars, and loved to watch his favorite western movies. He will be greatly missed. You may call on the family Thursday, March 21, 2019 from 11 a.m. until 1 p.m., with funeral service to follow at 1 p.m., at Burrell Funeral Services, in Zanesville. Burial will follow in Memorial Park Cemetery. BURRELL FUNERAL SERVICES is serving the family.